App is fairly easy to use. 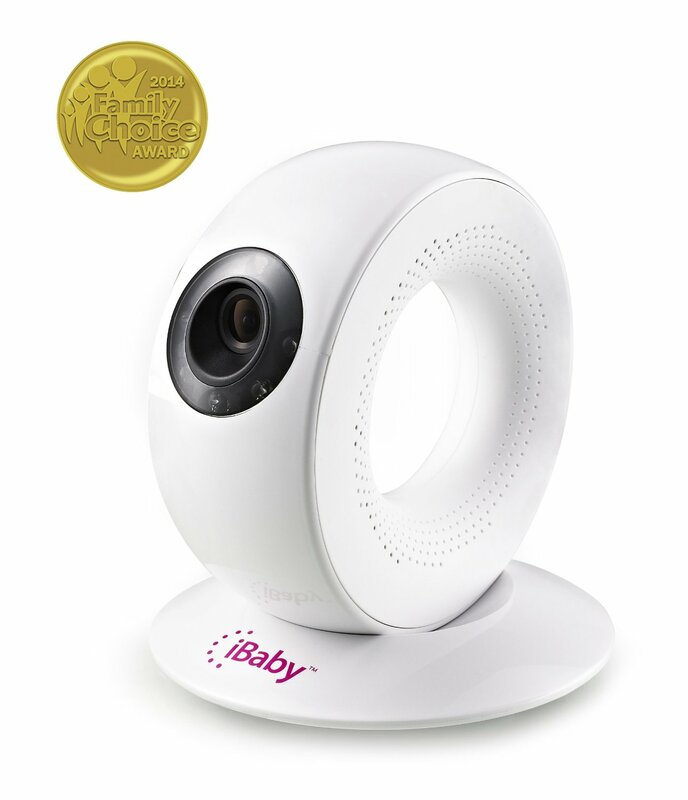 The iBaby Monitor M2 is another video baby monitor from iBaby Labs, that lets you easily check on your baby, from another room, from work or from thousands of miles away. Through an iOS or Android App, you’ll be able to always keep an eye on your little one, and never miss any important moment again. Because so many parents have busy lives nowadays, in many cases both of them are working many hours per week, being able to keep your productivity at a good level, will depend a lot on how much peace of mind you have. And when you know you have a newborn at home, you absolutely need to know that he’s alright to be able to give your 100% at work. Having someone take care of the little one while you’re gone is a must, and a video monitor like the iBaby M2 gives you that extra layer of control over the situation. The iBaby Monitor M2, just like other monitors from iBaby Labs doesn’t have a parent unit, which makes it very convenient for parent who want to keep an eye on their kids, even when they get out of the house. You just download the iBaby View App on iOS or Android, connect it to your M2, and after seconds you’re able to check on your kid. This is the real advantage with WiFi connected baby monitors, you don’t lose contact to your baby even if you’re miles away. Many busy parent, or close relatives miss out on many of baby’s important moments. This is a problem that is easily solved with the M2. You can take photos and videos and store to your phone and app libraries. Because as many as 4 distinct devices can be connected to the same monitor, all those photos, videos, and the live stream of the camera can be accessed by grand-parents or other relatives who would like to check on the baby more often. Setting up the monitor can be done in no-time. All you have to do is following a few simple steps. First, verify if the supported device is connected to a Wi-Fi network. Then, download the free App, and connect the power cable adapter to the camera and plug into a power outlet. Press and hold the camera’s power button until the LED light comes on and then, connect the USB cable from your device to the camera, and follow the on-screen instructions. Setting up the device is very easy. Most of the parents who have reviewed this video monitor thought it was easy to install. The instructional manual is a few pages long, which was great, in the opinion of some parents, and not so great in the opinion of others. Those who thought it wasn’t that good said that it was way to simple, and not clear enough in the explanations. Great quality picture. Most parents agreed that the video quality is amazing, both day and night, which is a big advantage, because it gives you just enough peace of mind to be able to sleep like a baby yourself. Don’t imagine it’s military night vision quality, but you’ll be able to determine whether your child is asleep or not, so you can quickly intervene when and if the case demands your intervention. Easy to move around. The device sits on a magnetic base, so you can move it around easily from one room to the other. Most parents thought this feature to be extremely helpful. The reason why it received such a mediocre rating is because it has some shortcomings, that quite made the difference for some parents. One of the most mentioned weaknesses was the charging cord. Because the battery runs out after approximately 2 hours, you will have to connect the cable. This is when some parents experienced some difficulties. The cord is pretty short, which means that you will not be able to wall-mount it and connect the cable (this depends a lot on how high you intend to mount it). All in all, the iBaby Video Monitor M2 is a pretty helpful product, despite having some shortcomings. If you’re really not sure, you can always check out our review of the iBaby M6, which is an overall better video monitor from iBaby Labs.